GETYOTEAM is a well experienced mobile app development company founded in the year 2014. The firm operates from its India and US offices with a team of 50+ expert developers and project heads. The prime intent of the company is to offer full-cycle mobile apps that effectively serve the business objectives of its clients. The application developed by GETYOTEAM is rich in quality and helps in boosting sales, engagements, and traffic for its clientele. The organization has successfully worked for venerated clients like Hafslund, Bill.com, Kewe, MyZing.TV, Vmware, and Pacha Alive. GETYOTEAM’s foremost focus is on developing Android and iOS apps for small and mid-size businesses. Other service offerings include – web development, app designing (UI/UX), web designing, and testing services. Majorly the clients of the firm belong to industries like real-estate (5%), utilities (20%), retail (10%), hospitality (10%), healthcare (10%), entertainment (10%), automotive (5%), and other similar industries. The group concentrates on a long-term collaboration with its clients by ensuring transparency and speedy product delivery. The firm is open to help regardless of the differing time-zones and thus ensures higher customer satisfaction rates. They add competitive value to the clients’ business by working ten times faster on solution based native apps at economical prices. A unique attribute of the business is that it gives a lifetime code warranty in which clients can anytime request for app development diagnostics and repair services. 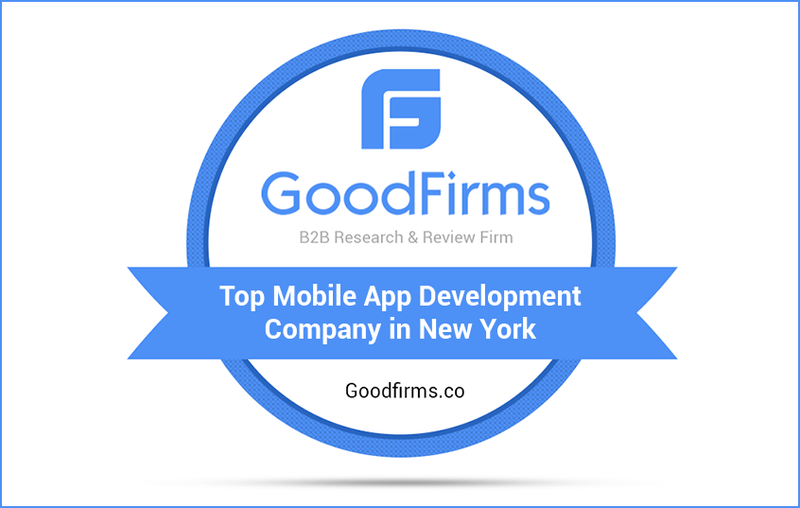 Such noteworthy facts of GETYOTEAM have positioned it in the list of top Mobile App Developers in New York at GoodFirms. GoodFirms is a pioneering research and review platform which helps service seekers to find the best IT companies under a single roof. The listed companies must stand sound on three vital ranking parameters – Quality, Reliability, and Ability. Further, the Customer Satisfaction Rate, Market Penetration in the relevant industry, Experience earned and the Quality of Deliverables decides the overall ranking of the company. GETYOTEAM has a proven track record of managing complexities with the help of its web development and web designing services. The company undergoes a detailed brainstorming session where they discuss in detail the plan of execution. Later, it assigns a skilled project-head and developer depending upon the client’s requirement. All the designs incorporated by the team focus on converting potential leads into loyal customers. The foregoing game-changing approach followed by GETYOTEAM has earned the company a proud space on the List of Top Web Designing Companies in the USA and Best NYC Web Developers at GoodFirms.